Just having cancer is one issue to deal with, however, there are a few other medical issues that came to fruition that had to be treated urgently to keep me safe and healthy. I am learning one has to be stable both physically and emotionally when taking chemotherapy treatments. Having to juggle the emotional impact of this illness and keeping a holistic balance is probably like walking a tight rope with total concentration. However, as I look down I can see the net under the tight rope. That safety net consists of the team at the Oncology center, especially Dr. Elizabethe Popa. I refer to her as my angel in disguise. Her information is located at the link below. I highly recommend her. For several months the feeling of exhaustion and tiredness resulting from the high heart rate I spoke of in my prior blogs. Upon hospitalization it was discovered I was anemic. Over a course of a couple of weeks, I was given 3 blood transfusions. The hope was to have a blood level high enough to withstand my first chemotherapy. I understand and learned that when my blood level is low, my heart has to work harder to push blood to all the parts of my body. This was the reason for my highly elevated heart rate. As soon as I was given blood, my heart rate slowed down. Temporarily this was under control to withstand 2 chemotherapy. However, on November 19th I had to have another 2 transfusions and was hospitalized for 2 days. 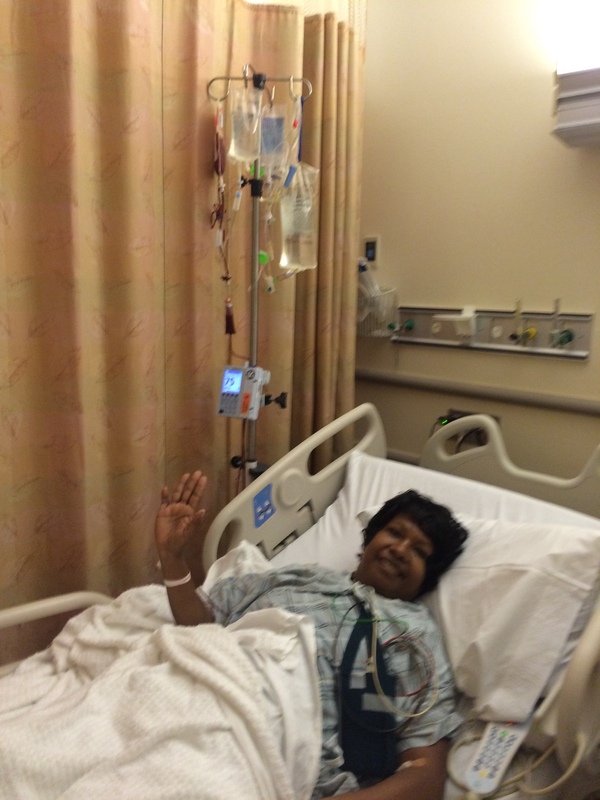 On December 3rd I was administered my 3rd chemotherapy. This round of therapy was higher in concentration that the last one. I am feeling more nauseated than before and some more discomfort. In addition, to a low blood level, my ability to have my blood clot was extremely low. The normal count is between 150,000-400,000. My count at one of the lowest points was only 10,000. I was bleeding through my nose for several days. Another transfusion was necessary of platelets. This is an orange color type, not red. That transfusion added about 30,000 platelets and the nose bleeding stopped. Since then I am growing my own platelets. Last test on December 3rd I had 89,000 platelets. I only had 1 transfusion of platelets and hoping there will be no more. I pray each time they take my blood that the results are positive as this is key in this process. My left arm was disabled sometime during my stay in the emergency room. I could not lift my arm at all. A quick MRI proved that I did not have a stroke rather just a loss of muscle on my left shoulder. For weeks it was very difficult to function with just one arm, but with a few months of occupational therapy, I was able to slowly regain mobility on my arm. It was hard work at first, but it was all worth it. Now I can raise my arm with some level of pain, but it is functional. Thanks to a great occupational therapist, Ms. Gladys Bayles-Panes, for pushing me each session until I got better. Being in the hospital for a month, I was finding it hard to stand up and walk. I was mostly in bed for the first several weeks. The last week in the hospital I tried as best as I could to walk. When I got home I could hardly climb one step on the staircase. Physical therapy was necessary. 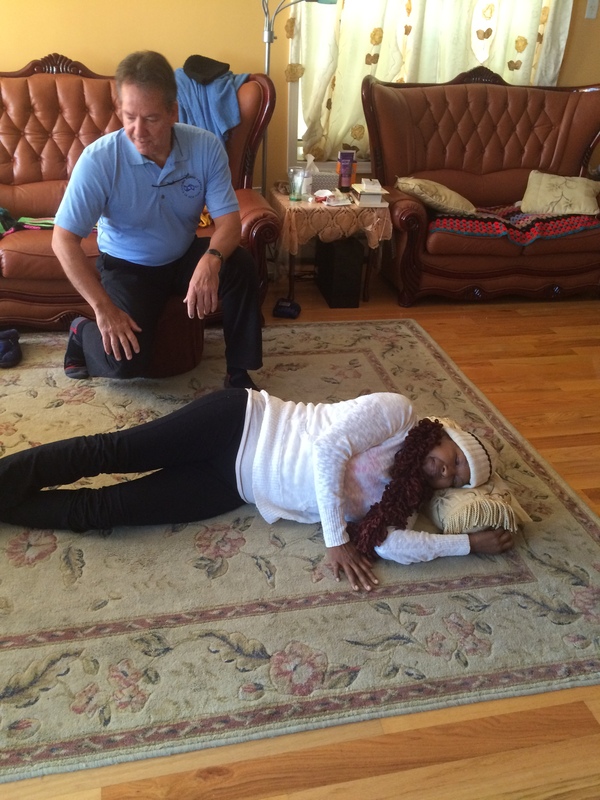 I was pushed hard by my physical therapist, Jim Kobetitsch. Each day I saw myself getting stronger and stronger, but that did not come without pain. I can now climb the stairs and walk a couple of miles before I get tired. I cannot walk very fast, but I am still walking and doing my exercises. I learned exercise is extremely important in this process. I am trying to exercise each day, no matter how long, but I exercise. It is hard at times, but I push myself and keep going. After the first chemotherapy, I had a large rash that started in my lower legs and moved up to the rest of my body. I was told not to put my hands on it in order to prevent spreading. It was difficult not to itch. Medications to help contained steroids which I could not use per doctor’s orders. A skin biopsy had to be done. They took two, I would say chunks of flesh, from my right arm to test for any unforeseen issues. Results were negative and I was told I had a reaction to one of the drug in the chemotherapy. The rash went away in about 2 weeks and never returned. However, the mark from the biopsy left 2 scars which I hope will eventually fade away. Currently my chin area including my lower lip is quite numb. I am told it will get better, but it is now two months and I see no improvements. My oncologist says we will look at that down the road as the intense focus now is to focus on the chemotherapy. Numbness is expected in this process and I understand from other cases, it might take a while to go away. In the meantime, I have to eat slowly and carefully. I tried to chew gum one day to help with the movement of my jaw, but that was a mistake. Chewing gum with numb bottom teeth is a bad idea! This past week was hectic. I had another biopsy on my back. This time under surgical precision. They are wanting to see if the cells in my bone marrow is active to produce blood. This is a result of my blood level still being low, but climbing rather slowly. I am below the average, but enough to have chemotherapy. My third therapy was administered on December 3rd. I have to focus on two things: The bone cancer and the blood stabilization. This is a balancing act as chemotherapy damages both good and bad cells. It is now up to my body to fight through this. I am doing everything possible to make this happen. I learned that eating sweet foods that contains sugar is not good for me. I have to eat foods that help enhance my red blood cells. This includes eating meats and fish as well as greens such as kale and spinach. I also am eating eggs and consuming milk products. 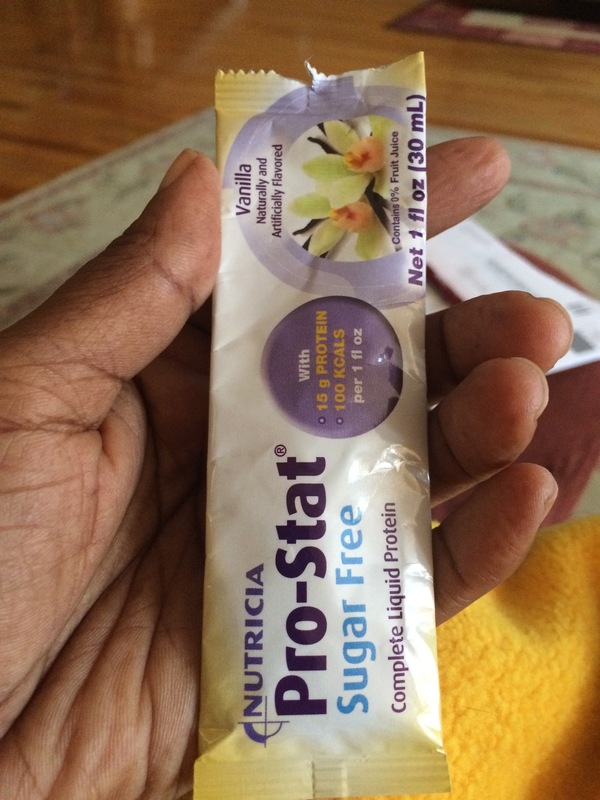 I am advised to take a daily dose of protein called Pro-Stat. I was given this at the hospital and is now purchasing my own taking 1 ounce each day. I had gained back 10 pounds and is currently holding that and not gaining or losing any. This is a good sign according to my doctors. Thanks to my sister and her family as well as the immense support from my brothers and extended family. They help with driving me to my appointments and ensuring I have all that I need to come out triumph in this process. I feel stronger each day as I prepare now to regain my independence and continue to live a long, happy and fulfilling live with my children, family and friends. Special thanks to my nephew Jason Singh who gives me great hugs and takes me anywhere I ask, no matter how tired I may be. I know I am loved immensely by many and that is a big motivation for me to push forward and not look back. I have you in my thoughts..and thinking about dancing with you again. Smiles Sukree and hugs.. I was so shocked at hearing your diagnosis, but I know if anyone can come through this, you can! We miss you at work and are all praying for your recovery.